I came across this article back in October 2014, found it most interesting and promptly shared the link on my facebook page. It proved to be my most popular post ever so here is the thought provoking piece itself. Especially in Silicon Valley, there is actually a trend of tech execs and engineers who shield their kids from technology. They even send their kids to non-tech schools like the Waldorf School in Los Altos, where computers aren’t found anywhere because they only focus on hands-on learning. There is a quote that was highlighted in The Times by Chris Anderson, CEO of 3D Robotics and a father of five. He explains what drives those who work in tech to keep it from their kids. If our current addictions to our iPhones and other tech is any indication, we may be setting up our children for incomplete, handicapped lives devoid of imagination, creativity and wonder when we hook them onto technology at an early age. We were the last generation to play outside precisely because we didn’t have smartphones and laptops. We learned from movement, hands-on interaction, and we absorbed information through books and socialization with other humans as opposed to a Google search. Learning in different ways has helped us become more well-rounded individuals — so, should we be more worried that we are robbing our children of the ability to Snapchat and play “Candy Crush” all day if we don’t hand them a smartphone, or should we be more worried that we would be robbing them of a healthier, less dependent development if we do hand them a smartphone? 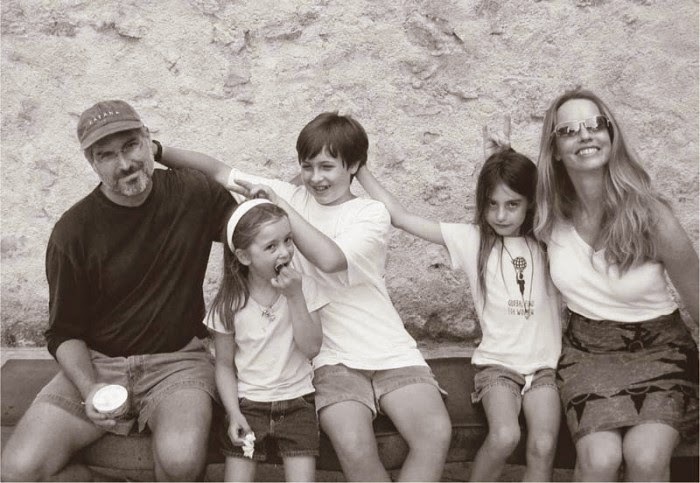 I think Steve Jobs had it right in regard to his kids. So the next time you think about how you will raise your kids, you may want to (highly) consider not giving them whatever fancy tech we’ll have while they are growing up. Play outside with them and surround them with nature; they might hate you, but they will absolutely thank you for it later, because I’m willing to bet that’s exactly how many of us feel about it now that we are older.